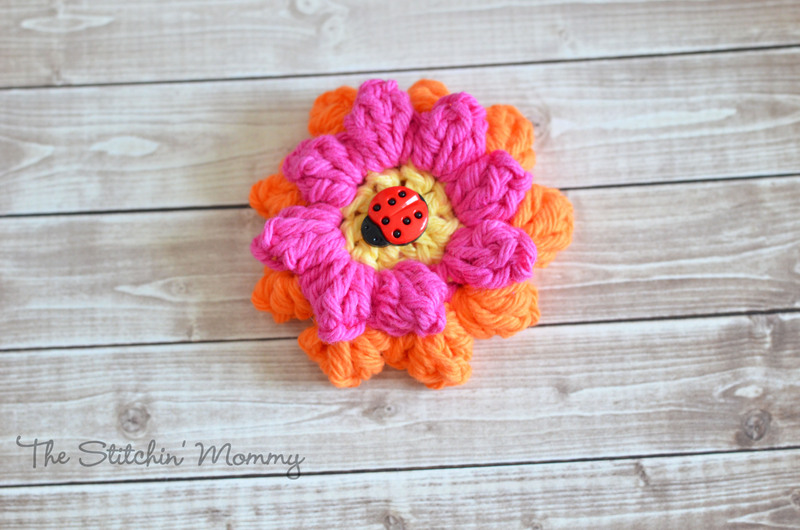 [Free Pattern] The Easiest And Quickest Flower Dishcloth Ever! Every beach trip needs a great beach tote! 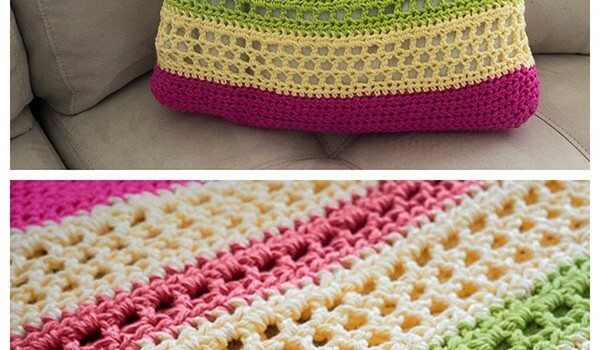 This Crochet Beach Tote Bag designed by Jamey Ekins and made in cotton yarn it’s beautifully simple and happy. It’s perfect for lots of trips to the beach and pool and it’s big enough for your big towels, lotions, extra clothes and magazines. These bags are really quick and easy to make and also make a great little gift. The tote pattern may look complicated upon first glance but you’ll soon see that you’re just repeating the same steps only with different colored yarn. It’s done with the double crochet stitch but mostly the half double crochet stitch, a favorite of mine since it seems to work up so quickly. 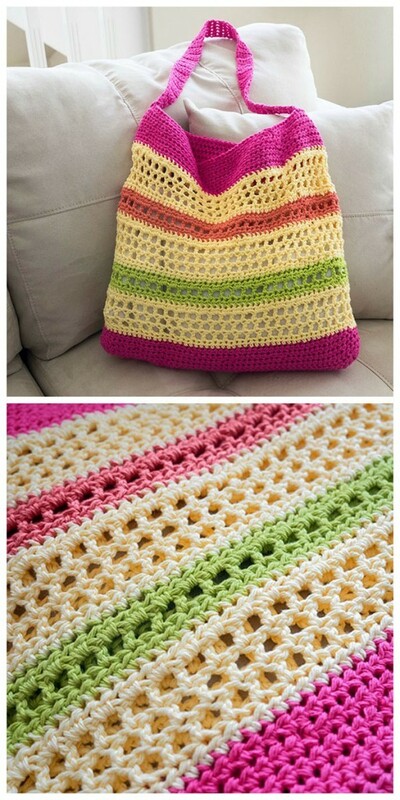 It took me two days to complete the beach bag and I would say I crochet at a slow to medium pace. The finished size of the tote was 15″ wide by 15″ high. Thanks to Jamey Ekins for article inspiration and featured image. Enjoyed this place a lot. Thank u. Hope to find other things I’m looking 4. Pot holders, t.p. covers. Fun things.Thank you.